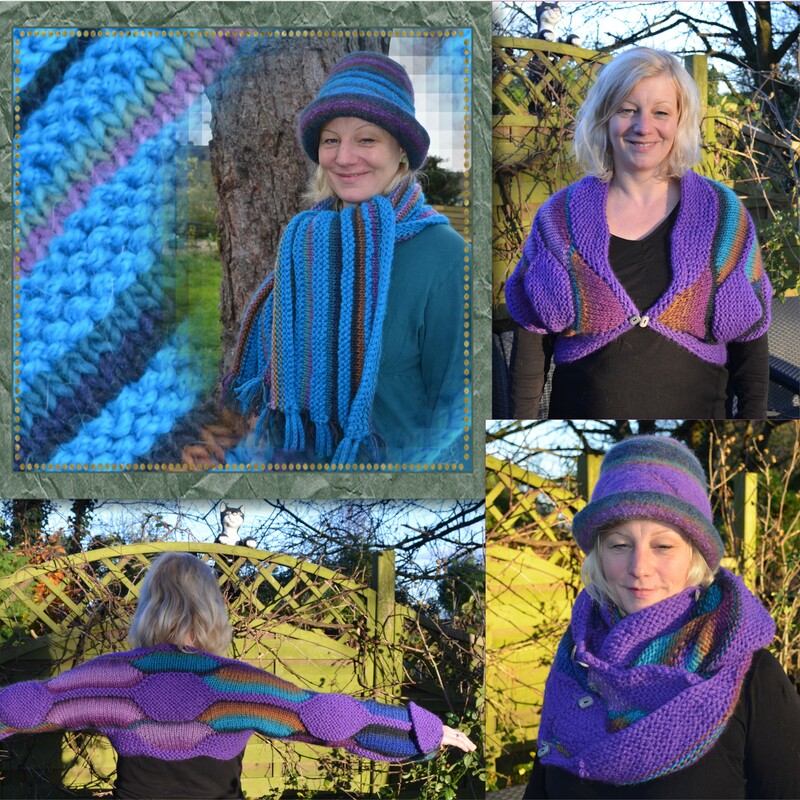 Heart-Felt, a new free pattern, and Swingy Heart-Felt are online! It’s cold, and the first snow flakes are dancing – time for a cuddly warm winter combination! 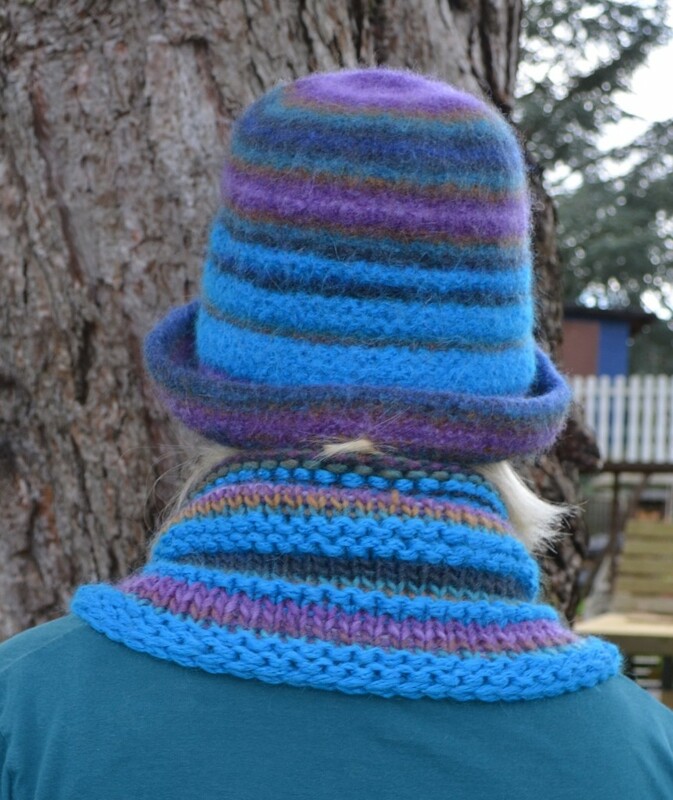 Heart-Felt is a free pattern for a felted hat with a hat band and a matching unfelted cuddly scarf. 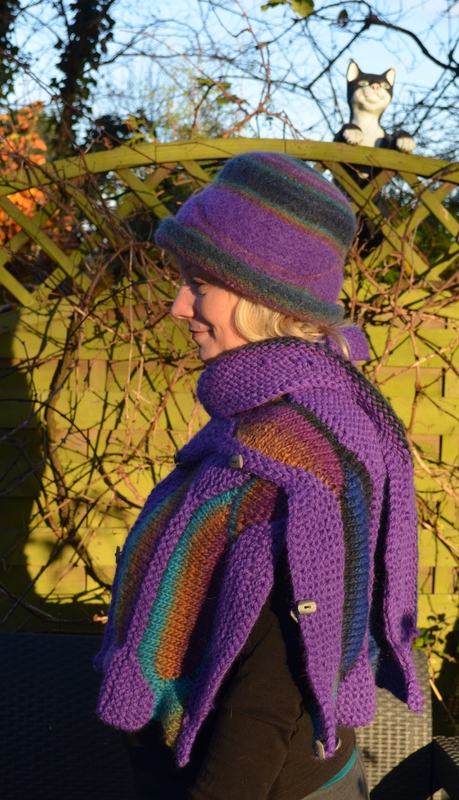 A fast knit with thick needles, so warm and soft! 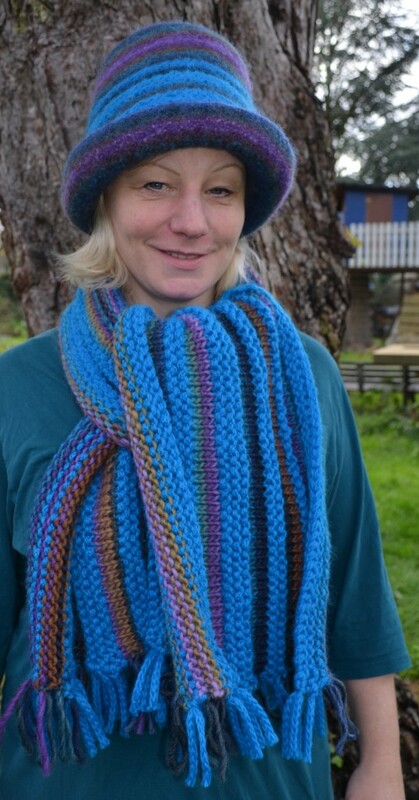 Both hat and scarf are knitted with Ferner Filzmich and Ferner Crazy Chain. The pattern is suitable for knitting beginners – every knitting technique that might not be known by everyone, is explained step by step in the technical appendix! Filzmich is a wonderful soft and thick wool yarn in beautiful color variations. You can wear it either felted or un-felted. 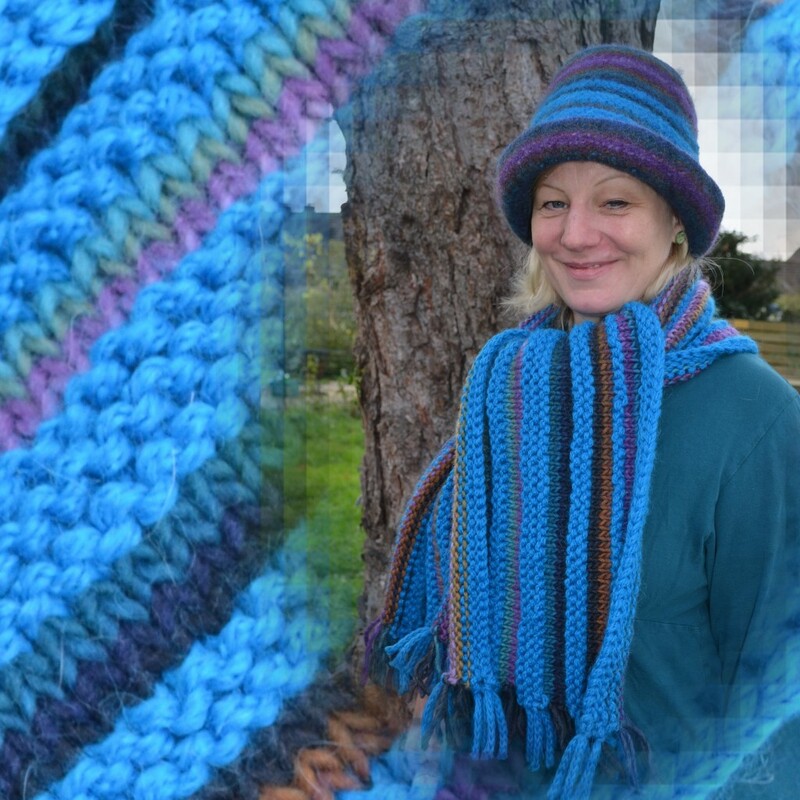 Crazy Chain is a bulky yarn made of 50% alpaca and 50% wool, super soft and so warm! For the combination you need 2 x 200 g Filzmich (200m/ 200g) and 6 x 50 g Crazy Chain (35m / 50 g). 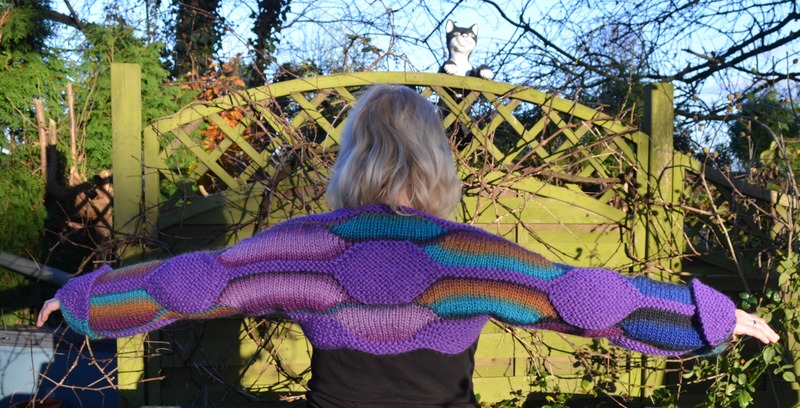 You can order the yarn online at Jawolle. They ship internationally, all over Europe and overseas, fast and easy. In Saarbrücken they also celebrate St. Nicholas’ Eve today, and Dominik Janssen of Jawolle put a present into your sock as well: On Sunday and Monday, Dec 7th and 8th 2014, you will get a 12 % discount! You’ll get this discount automatically when you pay for your shopping cart! More photos of Heart-Felt you can see in my Ravelry project – it is a public project, so you view it even if you are no Ravelry member. 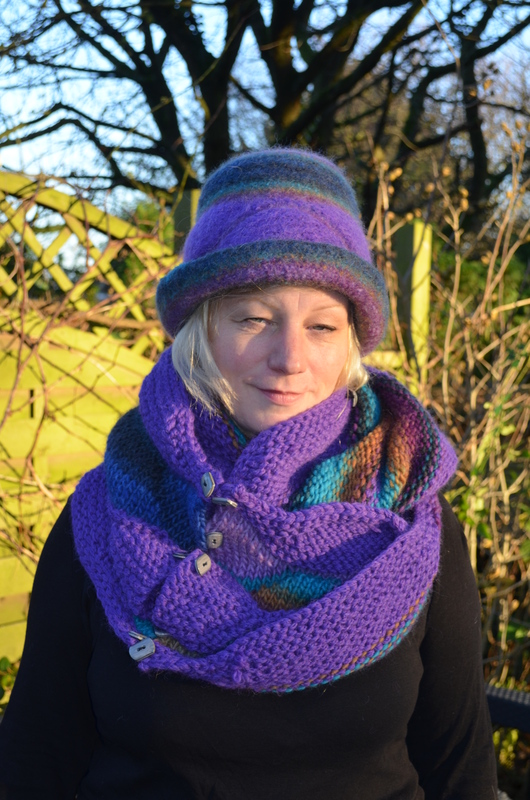 I love those yarns, they knit up to fast and easy! 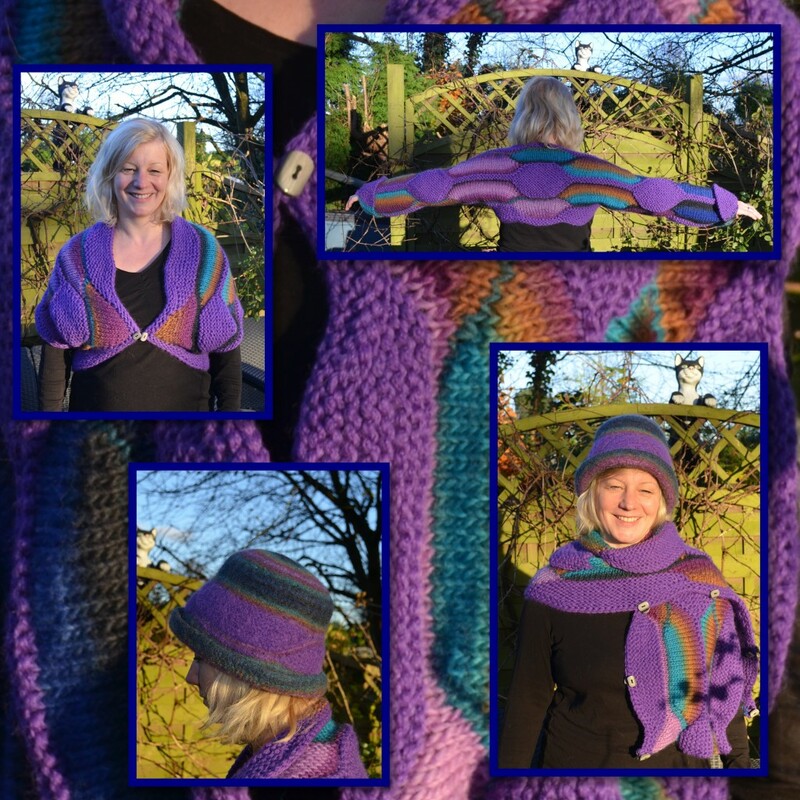 So I just had to play a bit with the yarns – and here it is, the Swingy Heart-Felt pattern! 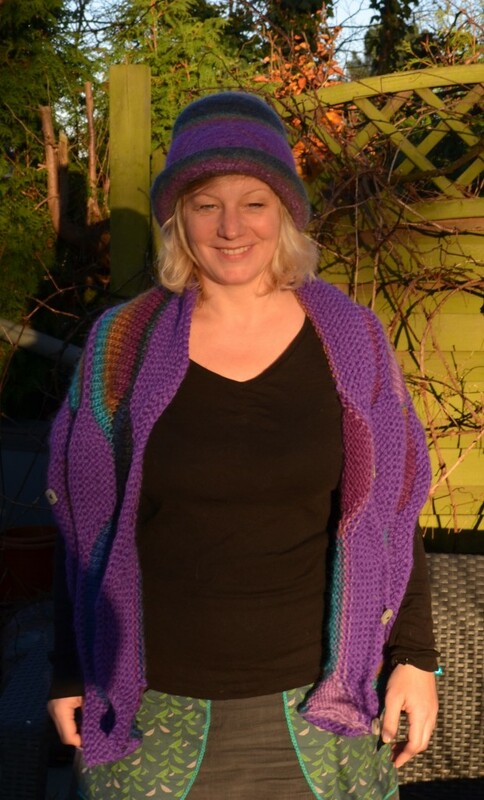 Swingy Heart-Felt is a pattern written for everyone – even if you have never knitted short-rows before, you will manage! Everything you need to know to knit this combination, is explained step by step. 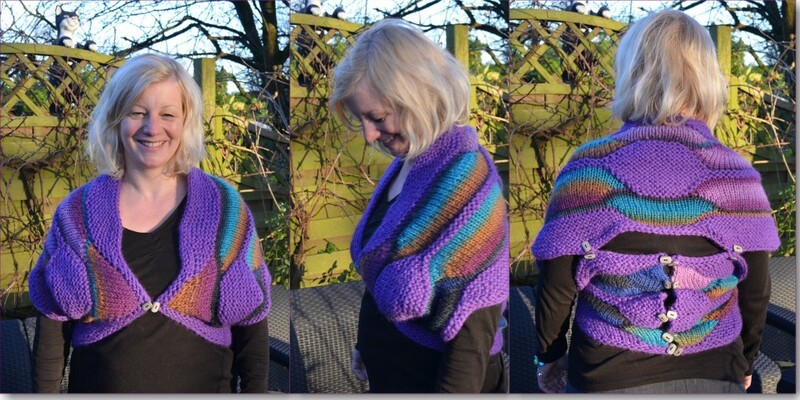 The pattern gives a row-by-row instruction as well as hints for those who already know Swing-Knitting™. Swingy Heart-Felt, that’s a felted hat with a swing-knitted hat band and a ——- how shall I call it? It’s a scarf-vest-cowl-bolero-sleeves-heartwarmer thing! You can wear it as a wide scarf. You can wear it as a vest. You can wear it as a sleeved scarf. 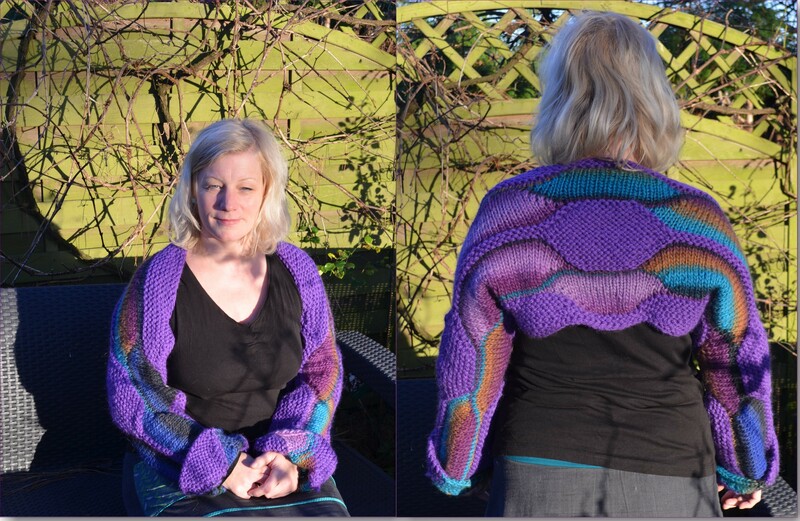 You can wear it as a bolero jacket. The variations are all created by using 8 double buttons. You can fit each variation to your personal measurements with these buttons! How to make these double buttons and how to use them to make each variation, is explained step by step as well. For the combination you’ll need 2 x 200 g Filzmich and 7 x 50 g Crazy Chain. Both yarns are available internationally at Jawolle. St. Nicholas at Jawolle gives a special offer! Everything you need to knit Swingy Heart-Felt is included in the kit for a special price (that’s all the yarn and the PDF pattern, you’ll certainly already have the knitting needles and the buttons) – here (http://www.jawolle.com/de/modellpackungen-wollpakete/damenmode/swingy-heart-felt-wollpaket.html#.VIGVDsmsYxE) you can choose the yarns for the kit in your favorite colors! There is also a very special St. Nicholas bonus for you! On Sunday and Monday, Dec 7th and 8th 2014, you will get a 12 % discount at Jawolle! You’ll get this discount automatically when you pay for your shopping cart! Jawolle ships internationally, all over Europe and overseas, fast and easy! More photos of Swingy Heart-Felt you can see in my Ravelry project – it is a public project, so you view it even if you are no Ravelry member. « Magische Maschen Mode 2 – Half-time!